It’s time for Love Fest over at Splitcoast Stampers – 11 days of fun challenges from the Member Companies. The challenge today is “Puppy Love” and for dessert “a thread of affection”. I started out by stamping the little bones in black and then added some Ranger Glossy Accents for some clear shine and dimension. Then, while that was drying, I cut out the tag and banner. 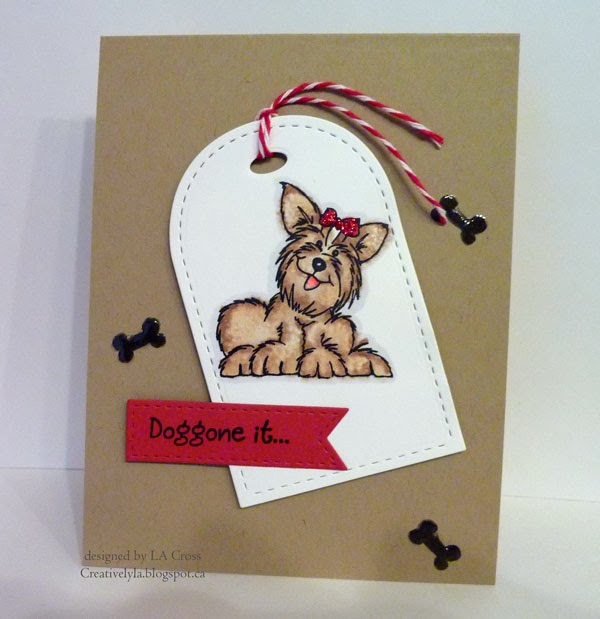 Next, the little pup was stamped and colored with Copics. I added some red Stickles to the bow for a bit of sparkle. Tied a little bit of baker’s twine through the tag, layered it up on the card with dimensionals and done! 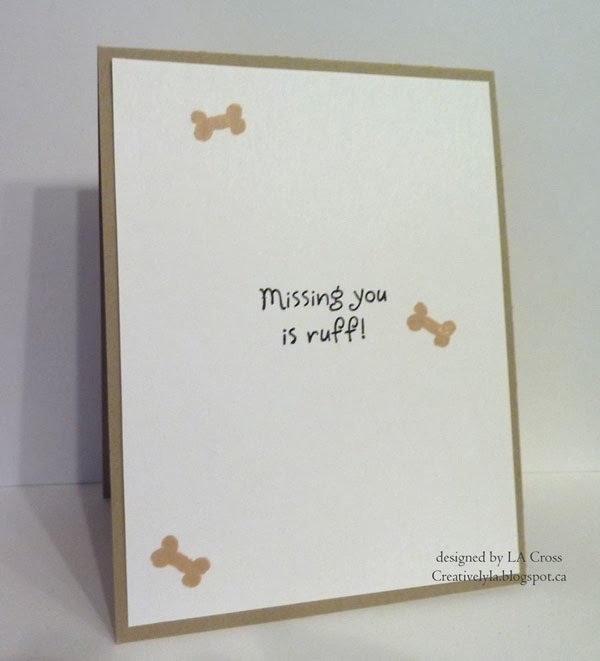 An adorable card, I love your tag and sweet image – lovely colouring and details!!! Your little puppy is just adorable, Lee-Anne. Reminds me of my dil's Yorkie. All the little bones are just perfect inside and out.